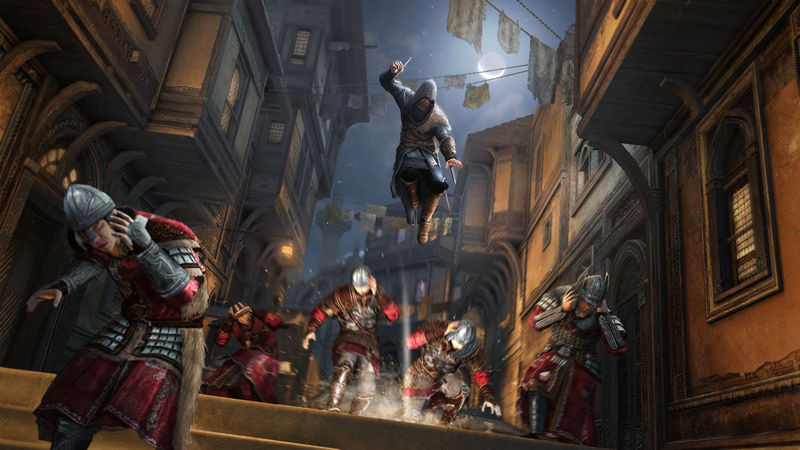 One of the most famous Italian assassin Enio Auditore da Firenze is back-for the last time. 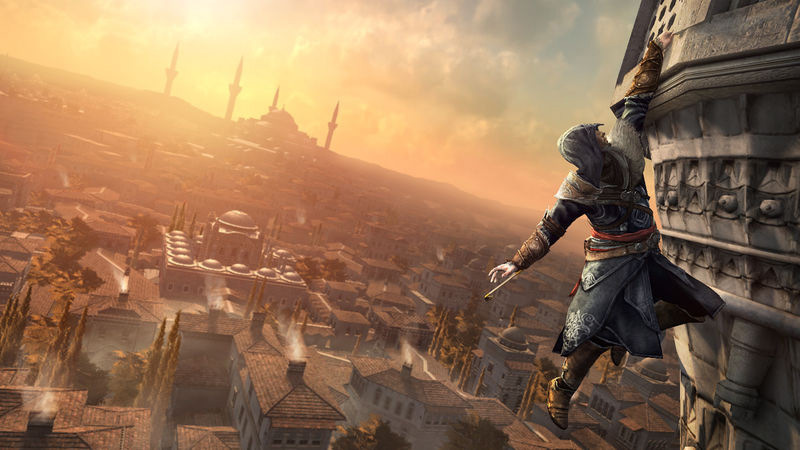 Assassins Creed game developer Ubisoft has decided to let him retire in peace after his one last mission. This will also be game’s final installment of the Renaissance era, which is good news as you can hardly distinguish Rome from Constantinople. 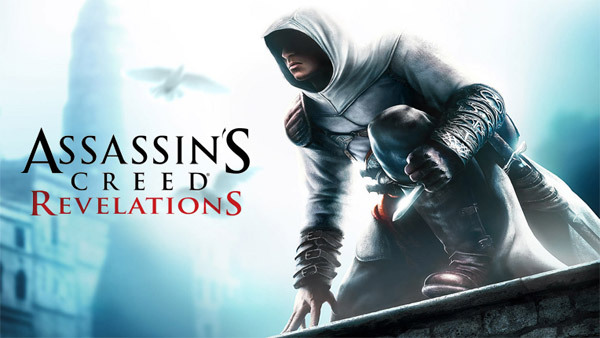 Assassins Creed Revelations comes with the most impressive experience when compared to the other games in the series released till date. In this game Ezio Auditore walks in the footsteps of his legendary mentor, Altair, on a journey of discovery and revelation. It is a perilous path – one that will take Ezio to Constantinople, the heart of the Ottoman Empire, where a growing army of Templars threatens to destabilize the region. 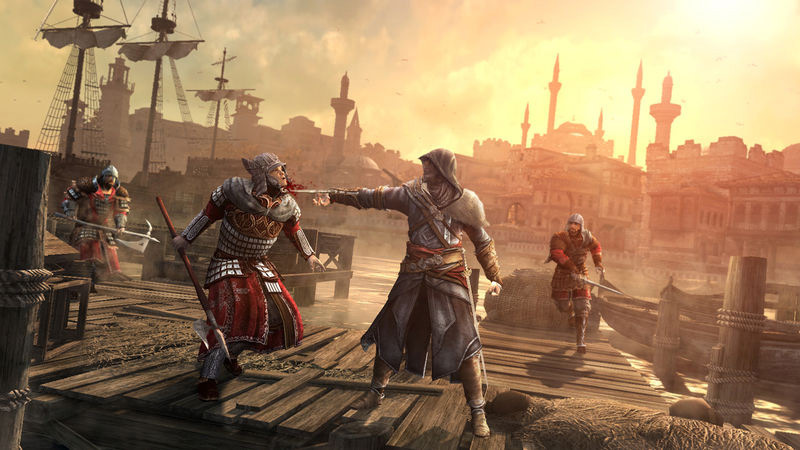 The cinematic sequences in Assassins Creed: Revelations are breathtaking. 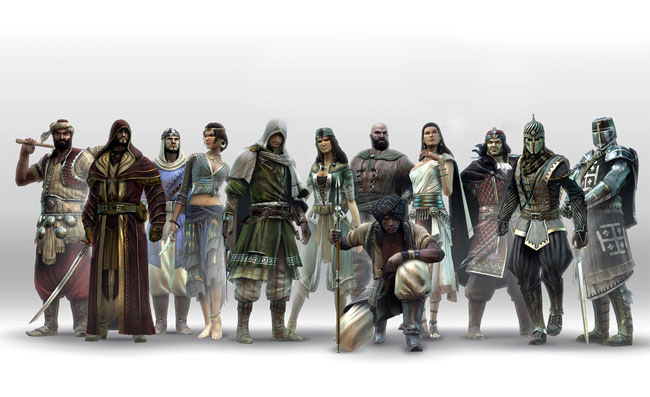 With vibrant graphics, it successfully makes the characters and Constantinople as real as they can get. The sound track too gets you into the groove. But these are all too similar to the previous AC editions. So it’s not exactly something new. 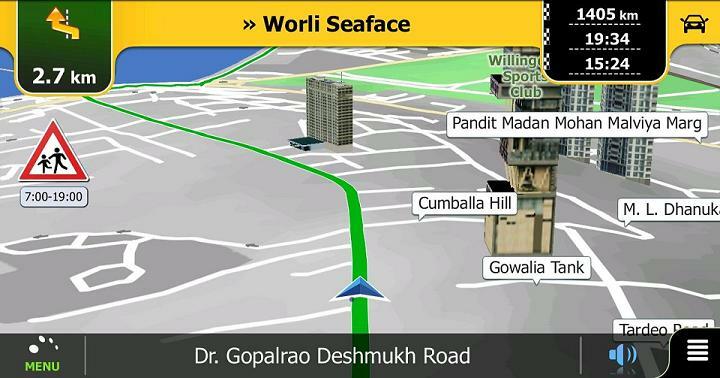 Nonetheless the game keeps you engrossed. The plot is to find the keys of Altair, hero of the first edition. The most important addition in this version is undoubtedly the Hook Blade, which not only helps Ezio climb roof tops but also helps him slide down the cables. The hook also helps reach out to and grab walls as you fall, reducing your chances of becoming street pizza. The hooded assassin also gets his hands on bombs. 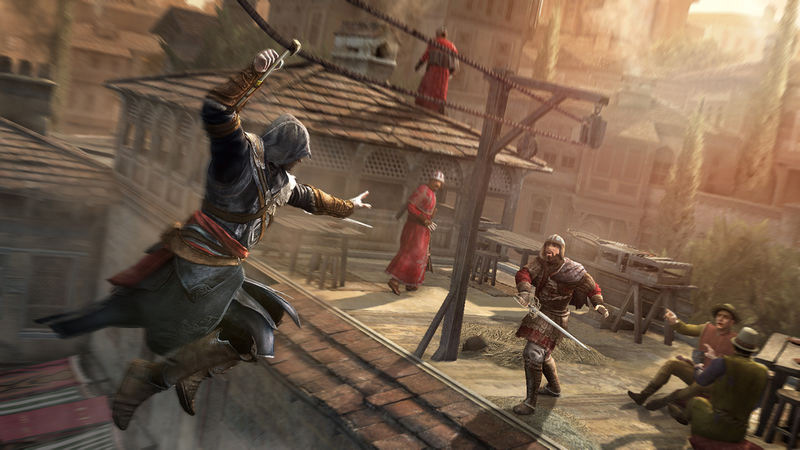 But despite having explosive arsenal, you [or Ezio] invariably end up using the traditional weapons. As they are a lot more fun to wield. Perhaps, the addition of bombs in this version was a bit of a waste. There are also mini games, like Brotherhood, where you can train assassins and send them off on contract missions. Your aim is to extend the assassins influence and defend your Templar attacks. To keep things interesting, Revelations gets back the multi-player feature. Now from being the assassin, you can become the target. There are other play modes like Capture the chest and hide and seek games that have new characters with new special abilities, maps and modes. 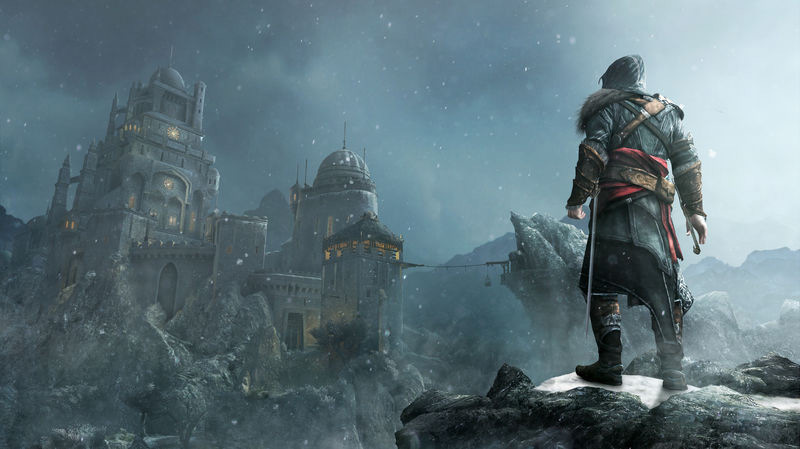 Assassins Creed Revelations might not be a big revelation as its title suggests; it does fail to break away from its own mould. But what it does smoothly is finish the chapter of Ezio and Altair. This game will keep you thoroughly engaged through its visuals and game play.